He apparently reached this amazing conclusion after a visit to his ancestral village in Wuling in China’s Fujian province and also how, at a recent Deepavali event, he had found that several young children of permanent residents from India could easily pass off as Singaporeans. How he could have come to his conclusion based on these two set of factors escapes me. First of all, young children all over the world do not behave differently from one another. Put a group of young children together and they will soon play their own games oblivious of their colour or nationality. 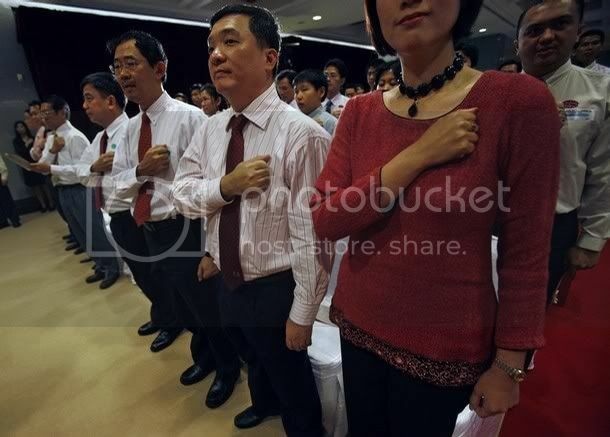 However, this does not mean they will all grow up to be Singaporeans in outlook and loyalty. Secondly, Mr Goh might have felt very Singaporean when he visited his ancestral village. This does not mean the children of the new immigrants will, in future, feel the way he did. The next generation of these new migrants will not think and feel the same way as this generation of Singaporeans. This is because the fathers and forefathers of the present generation, of older Singaporeans, including the Senior Minister, had migrated to Singapore under different circumstances. They were political and economic “refugees”. Many did not have a choice. They came as teenagers to escape war, hunger and poverty and once they established their roots here, there was no turning back. Those who came from China then could not go back at all. Neither could they bring their children back for visits even if they could afford and wanted to. Because of this, the ties were cut and over time memories of their homeland became very faint. It was only natural then that the children of these people do not know of any motherland other than Singapore. They, especially the English- educated, probably have more attachment to England than China. The present new migrants from China are different. They came as adults and are usually better educated. They have not run away from a country that is a basket case but chose to come here to improve themselves and the lives of their children. To a lot of them, a Singapore passport is a stepping stone to better things. They are not going to cut off any emotional ties with the country they had come from, not when it is growing bigger and bigger in economic and political stature every day. It’s really no contest between a giant red mass and a little red dot. 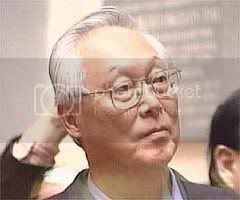 The children of these new migrants are not going to be like Goh Chok Tong. They are certainly not going to sever their cultural, emotional and ancestral ties with China. How could they? Unlike Goh Chok Tong, a lot of them can and will go back to visit their relatives regularly. Some even go back during the school vacations for immersion. Like their migrant parents, they will watch CCTV and Phoenix stations as much or even more than channels 8 and 5. Is it then any surprise to see Zhang Yuanyuan, a Singapore permanent resident, taking part in a national day parade, waving the Chinese flag and feeling very proud to be a Chinese on China’s National Day. Don’t be surprised to see more Chinese flags displayed in HDB blocks on 1st October in future. The new Indian migrants and their children are also unlike the Senior Minister. They are still likely to visit their ancestral homes on a regular basis and are likely to be as Indian as they are Singaporeans. Just as Singaporeans cheered Liverpool when they played Singapore, a lot of these new migrants are likely to cheer the Indian national hockey team when they play Singapore. I, therefore, do not share Mr Goh’s optimism about loyalty. If our policy does not change, the problem is likely to be compounded. In thirty years time, Singaporeans are going to be a minority in their own country and in forty years time, they will form about 25% to 30% of the population here. In the same speech, the Senior Minister also said, “Without PRs and new citizens, Singapore will go the way of the dinosaurs.” Imagine an England that is three-quarter Chinese and a Japan that is three quarter Polynesian. Both the English and the Japanese will go the way of the dinosaurs. In other words, to have patriotism, there must be a devotion to humanity and beneficence. There must be an individual responsibility to fellow citizens. Without provision for charity, without the right to criticize injustice or to denounce excessive laws and without the spontaneous participation of people in the affairs of the country, there can be no patriotism. Many years of authoritarian-style government have reduced Singaporeans into an apathetic lot and made them feel like guests in a hotel. In years to come, with hordes of foreigners coming in to depress their wages or even displace them at the workplace and reduce them to second-class citizens, how much more loyalty can we expect from local-bred Singaporeans, let alone migrants? It would have been different if Singaporeans had been allowed to developed their patriotism and let this patriotism rub off onto a slow influx of migrants. Then come 2040, we would not have a population that is made up of Singapore citizens but largely owing emotional allegiance to another country. As it stands, in 2040, when a minister visits his ancestral village in China, he is not going to be as detached as the Senior Minister. The cultural, social, emotional and ancestral ties will be so much stronger. He would feel not so much like a visiting Singapore leader but, psychologically, rather like a municipal officer衣锦还乡going back to one’s old home in silken robes. Alas, perhaps it is just a historical cycle that Singapore has to go the way of Temasek. Read SM Goh’s speech here.